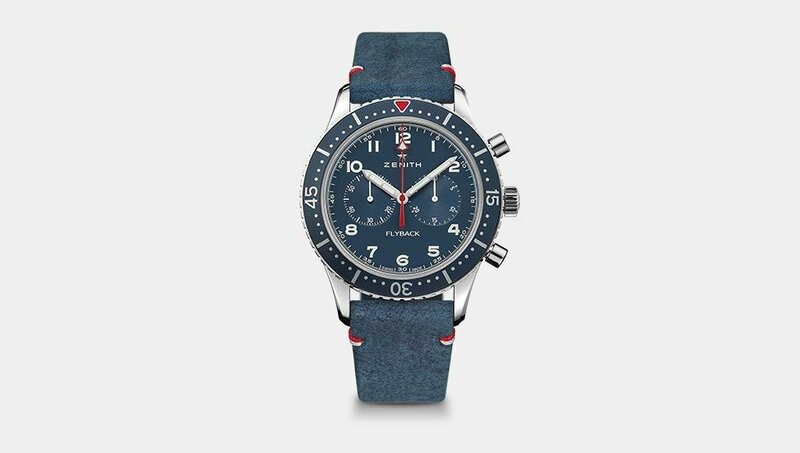 On Veterans’ Day, Zenith announced its first limited-edition timepiece in partnership with the Wounded Warrior Project, a charity and veterans service organization that offers a variety of services for wounded American veterans that was established in the wake of 9/11. The new Pilot Cronometro Tipo CP-2 USA Edition is designed to “offer the ultimate tribute to a legion of brave men and women by celebrating courage, sacrifice, and commitment,” to mention superlative watchmaking. The Pilot Cronometro Tipo CP-2 is unique from the iconic Rolex Daytona in many ways, but they also share many features. Limited to just 50 units for the U.S.A. only, the pilot’s watch is in keeping with Zenith’s tradition of supplying various armed forces with watches “meeting their demanding technical specifications in terms of reliability, readability and robustness.” While we don’t have the exact specifications for this watch, we wouldn’t be surprised if it is COSC certified. It’s based on the stunning original Zenith TIPO CP-2, originally made in the 1960s for the Italian military – “CP” stands for cronometro da polso, i.e. “wrist chronograph” – which is highly prized by collectors. The 43mm Pilot Cronometro Tipo CP-2 USA Edition fittingly features a red, white and blue color scheme. For the first time the CP-2 is fitted with a matte blue dial matching the aluminum ring inside the bezel, with the triangle marker and chronograph hand rendered in red. It comes presented on a custom blue kudu-hide strap with red and white stitching. It’s powered by Zenith’s famed Automatic El Primero column-wheel chronograph movement with flyback function. And for a finishing touch, the oscillating weight’s Côtes de Genève motif also pays tribute to the American flag. 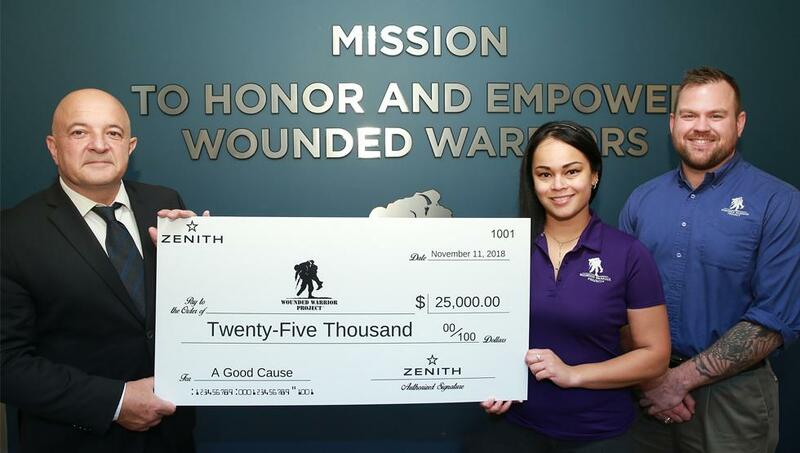 We want to commend Zenith and The Wounded Warrior Project for their collective efforts in supporting vets and their new watch.